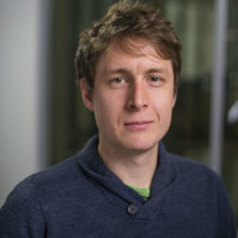 Samuel is a Research Fellow at the University of Exeter Medical School. His main research focus is on the genetics of sleep and sleep-related traits, with the intention of untangling the complex web of cause and effect between sleep and several metabolic disorders, including obesity and type 2 diabetes. Samuel's current research is based on the UK Biobank data; a cohort of 500,000 individuals with genetic information along with a comprehensive set of details about their lifestyles and health conditions (see the UK Biobank website).